Home » Why Not Start Your 2018 By Spending the New Year Holidays Skiing in the Mountains? Why Not Start Your 2018 By Spending the New Year Holidays Skiing in the Mountains? The start of a new year is always one of the most exciting times… parties, old friends, family reunions, banquets, but let’s face it; it can also be a fairly grey and gloomy mid-winter here in dear Old Blighty. In the Alps however they pride themselves on creating a special celebration for all ages and have the added bonus of snow and New Year cheer. With Christmas behind us and only the short days of January and February ahead, it’s all too easy to get down-hearted. Especially if your likely New Year celebrations don’t look too exciting. So this could be the winter to change all that! It’s your opportunity to start the New Year on a high – both figuratively and literally. Why not start 2018 on the ski slopes? What better way to ring in the New Year? This winter January 1st falls on a Monday so you can comfortably be in resort on Saturday 30th and ready for those New Year Eve celebrations, followed by another five days of skiing and eating – Fresh mountain air is the prefect cleanser after a party, but mostly to start 2018 on a high and just enjoy being alive! Now, once you’ve decided the smart move is to head to the slopes to ‘ski-in New Year’, the question is where to go? It’s still quite early season, so it’s wise to choose a resort with high altitude skiing, maybe a glacier, just to be extra-snow-sure; but then a lot of high altitude resorts are rather soul-less, not the place you want to be for January 1st, 2018. The solution – a traditional village linked to a large ski area with high altitude slopes… Step forward Vaujany. 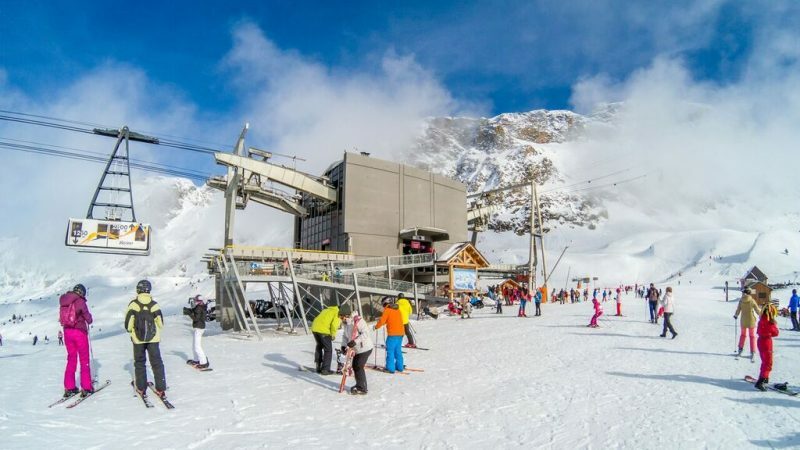 You may not have heard of it (unless you really know your small French ski villages) but Vaujany gives you all the skiing of massive Grand Rousses ski region – shared with Alpe d’Huez. There are over 120 ski runs here for all standards, more than 250km of piste including the world’s longest black run (it skis more like a red for most of its length), and the slopes climb up to a glacier-crowned 3330m above sea level, so snow is guaranteed. Vaujany is a traditional village that’s linked in by a huge, fast cable car that quickly whisks you high up to 2800m from where you can drop into any section of the Alpe d’Huez piste map seamlessly. There’s one long-standing family-run British holiday company in the village, and one which will itself be celebrating on 1st January, as 2018 marks its 30-year anniversary in the village. 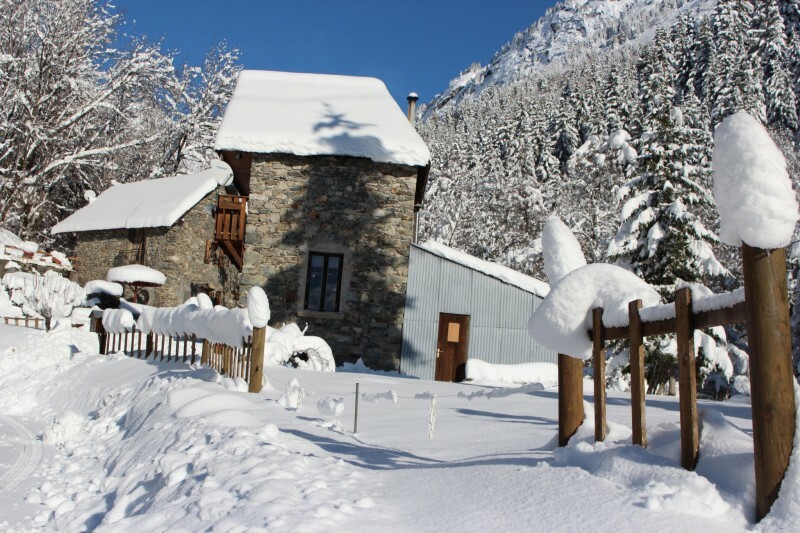 Ski Peak’s founder Nigel Purkhardt discovered Vaujany in 1988 and has dedicated the past 30 years to provide the best possible holiday experience to his guests. They’ve never left Vaujany as they can’t imagine anything comes close! The ski school organise a night-time torch lit procession, skiing down La Fare piste which can be seen snaking down the mountain from anywhere in Vaujany, even the comfort of your chalet. There’s also a big fireworks display on New Year’s Eve itself to say ‘adieu’ to 2017 and ‘bienvenue’ to 2018. There’s also a big village fete with lots of traditional French mountain attractions rarely seen these days, but adding to the atmosphere. There are fire dancers, wolves and bears on show, a bucking bronco and ice sculpting. You can brave the bungee run or just relax at the cheese and saucisson or beer stalls. Then really relax at the mulled wine stall with all the heavenly aromas and cinnamon fragrance. Of course Ski Peak doesn’t leave it all to the village fathers to make their guests’ New Year Holiday in Vaujany extra memorable. The gala dinner lovingly prepared and beautifully served will keep you spell bound up until the spectacular fireworks display after which you’ll be sipping champagne by the log fire or off enjoying a night of revelling in the village bars. So great skiing, a wonderful and friendly resort, fantastic food, great special events – the perfect start to 2018.